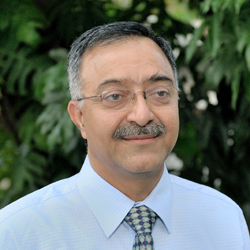 Prof. R.K. Kohli, M.Sc. Ph.D, recepient of JC Bose National Fellow, Department of Science & Technology, Government of India, Fellow of all the 4 National Science Academies (FNA, FASc, FNASc, FNAAS) was the first Vice Chancellor of DAV University, Jalandhar. He has more than thirty five years of experience. He has also served as the DUI at Panjab University, Chandigarh. He is a renowned Ecologist. He had been member and Chairman of Academic, Administrative or Technical Committees of Botany department in Panjab University. He has also chaired several academic bodies/ meetings in India & abroad. At present, he is the Vice Chancellor of Central University of Punjab, Bathinda. 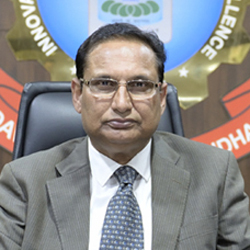 Dr. Ashok K. Paul had taken over the charge of the Vice Chancellor of DAV University, Jalandhar on December 26, 2015 and demitted office on December 28, 2017. Before joining DAV University, Dr. Paul has served CSIR-Central Scientific Instruments Organisation (CSIO) as Chief Scientist. He was also a Professor, Academy for Scientific and Innovative Research (AcSIR) for M Tech and PhD streams in science and engineering. He also performed duties as Dean (Academics) and coordinator for sub-specialization course on ‘Analytical Instrumentation’ at CSIR-CSIO, Chandigarh.